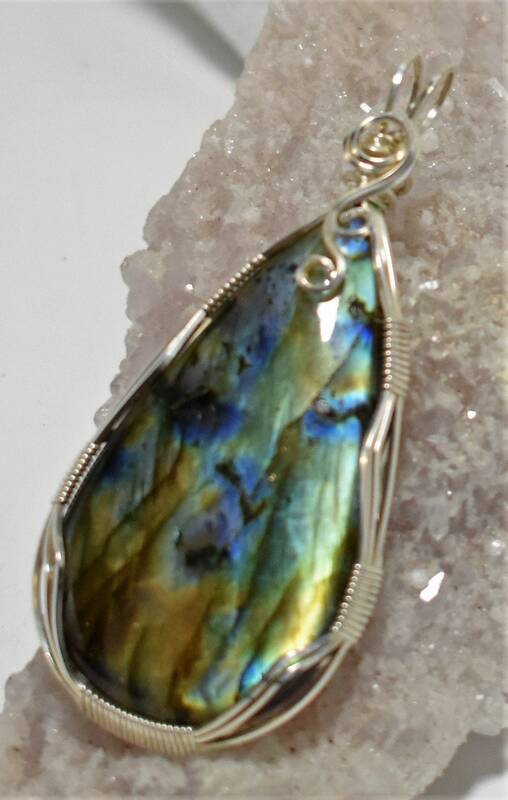 This is a very flashy Labradorite with primarily green and blue flash. 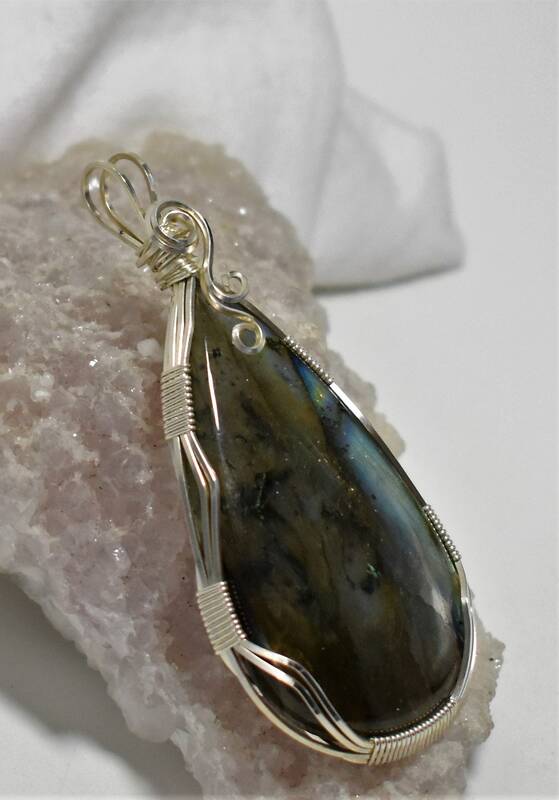 I wrapped it in Silver filled wire and paired it with a Silver chain. 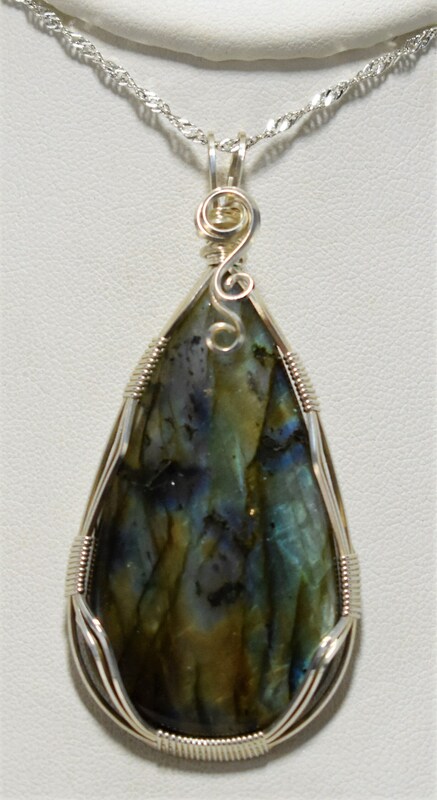 Metaphysically, Labradorite tempers the negative side of our personality, the traits and actions that rob our energy and may produce depression or shame. It assists in reducing anti-social, reckless or impulsive behavior in children, teenagers and adults who are easily led into trouble by others, and may aid in detoxifying the effects of tobacco, alcohol, and to a lesser degree, hard drugs. 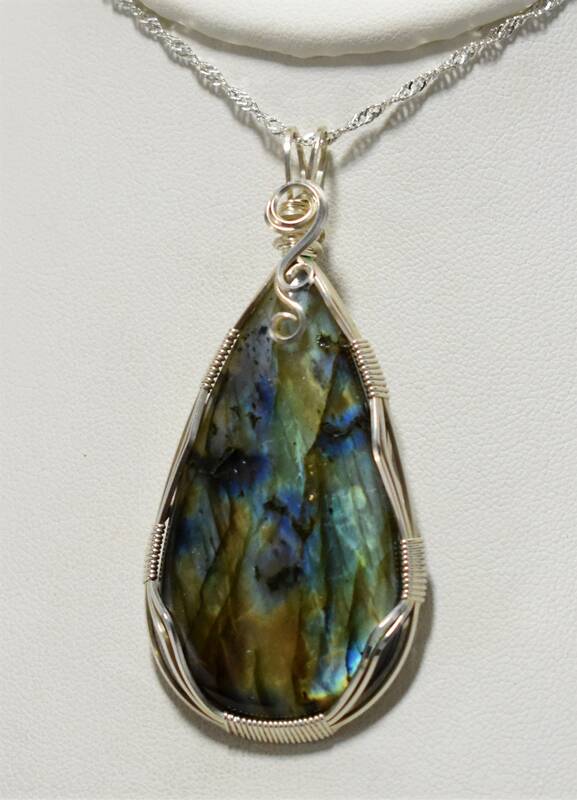 As a workplace stone, Labradorite brings out the best in people, making work life more congenial. 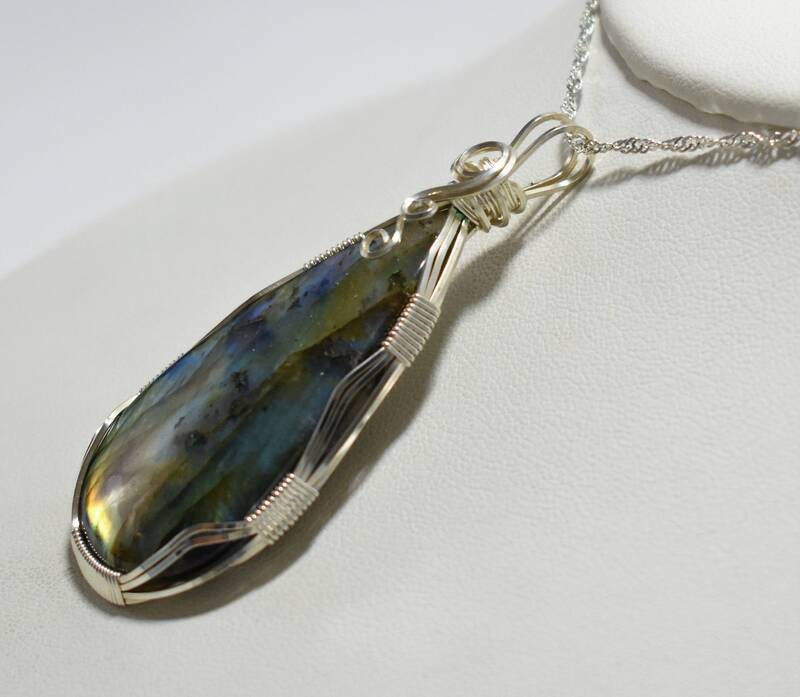 It encourages courtesy and full attention to the customer, and assists part-time and temporary staff in becoming fully involved in a company.